i designed this surfboard artwork. it has some glitter in the glass but you cant see it in the pics. designing this was alot of fun, good to play with colours. 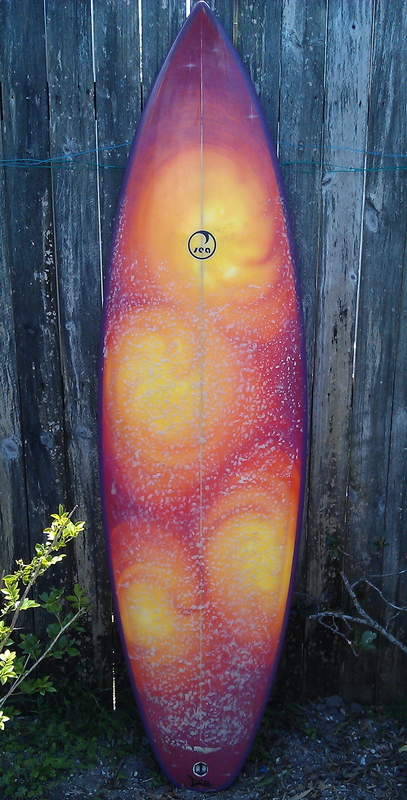 the shaper (sea surfboards) took the artwork to a whole new level.